dedicate foam. Foaming performances are tested by Rusi Forth Instrument. Normal foaming agents� foaming height varies from 100 to 130 millimeter, but FA-1 foaming height reaches 230 millimeters and above. 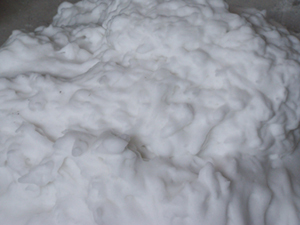 1 liter foaming agent can froth 1.8-2.3 cubic meters. 2. Fine and stabilized foam; tested by Rusi Forth Instrument, consumption time of half foam is 100 minutes. 4. Ultra hydrophobic nature: products adopted this foaming agent possess outstanding hydrophobic nature, therefore reduces water-absorption. 5. FA -1 is a cost effective, nationwide least dosage demanded foaming agent. 400-500 kilogram per cubic meter concrete need as less as 0.4-0.5 kilogram foaming agent. 6. 3 major products category: cement, gypsum, and magnesium. 1. Every kilogram foaming agent dilute with its 30 times of water, and foam in the foam generator for the best results. 2. Foaming agent can also be directly foamed in the mixer; however the dosage required will be 3-4 times more than in foam generator. 3. Every cubic meter concrete with a weight of 500-700 kilogram requires 0.45 kilogram foaming agent in order for the best result. Foaming agent dosage should be modified according to the concrete density, in general, higher density, less dosage.